Ridin’ my thumb to Mexico…. 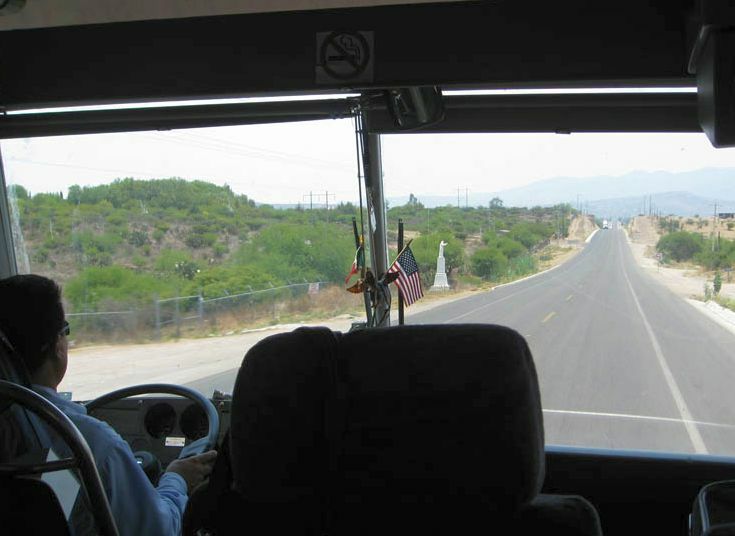 Okay, maybe not my thumb, but definitely my rear, on a twenty-two hour bus ride on Transportes de San Miguel, bound for San Miguel de Allende. On one of my brother Don’s many trips through Mexico, he met a like-minded couple, Mike and Val, now living as expats in San Miguel. Mike used to run culinary tours all over the world until they decided make their home, “Casa de Cocina,” in San Miguel. 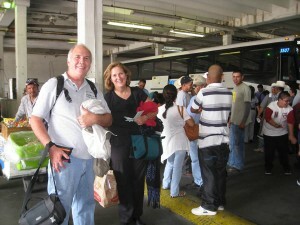 The email arrived with the subject line, “San Miguel Calling.” Mike and Val were on their way to Italy for a month. They needed someone to house-sit while taking care of their cat, Oliver, and Don had drawn the lucky spot in rotation. There wasn’t a question in my mind that I wanted to join him as San Miguel is one of my favorite destinations, but could I, with Don’s help, pull off working virtual for a month from Mexico? Time would tell….regardless, it was worth a 22 hour bus ride to find out. Having now moved twice since the “big move,” it didn’t take much prep to gather all the things I would need for Mexico. The traditional packing was rote. The office, on the other hand was high anxiety, making sure to carefully wrap each critical piece like a delicate jigsaw puzzle; router, cable, power cords, etc. etc. 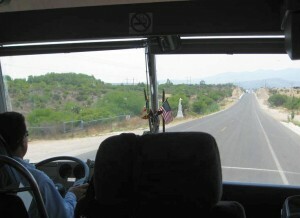 to insure safe passage on a very crowded bus to Mexico. The border crossing was tense, knowing we were both carrying enough “contraband” to make any cocky custom inspector’s day, me with enough electronic equipment to start an import business, and Don toting caviar, rack of lamb, and ribeyes, smoldering in dry ice. 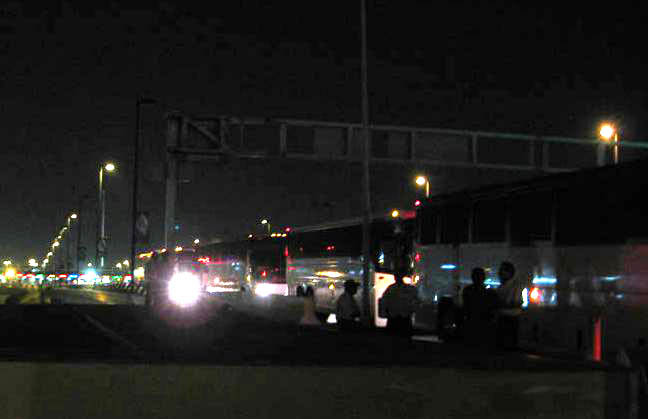 The line of buses went on as far as the eye could see, as we rolled up to the border crossing at 11:30pm, with no idea that it would be another four hours until we were rolling again! Even the strolling mariachi man who boarded the bus to serenade us all while waiting had long gone home by the time we moved to the front of the customs line. 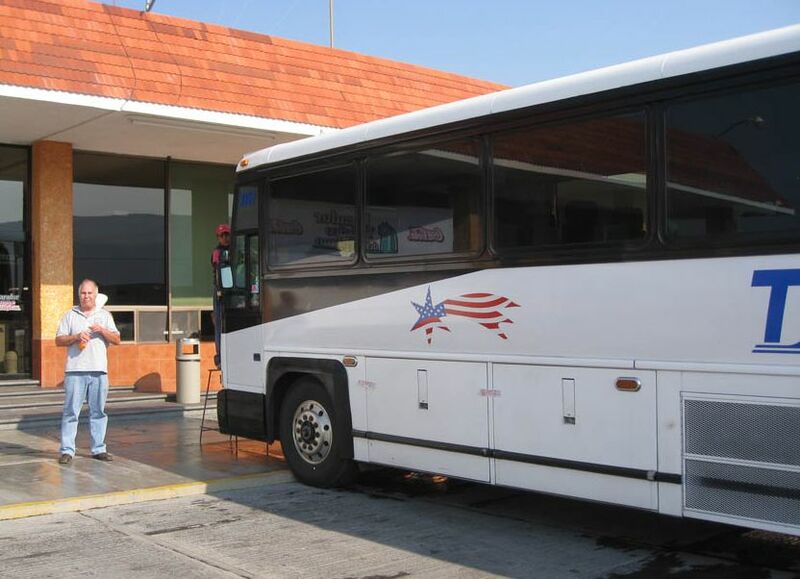 The entire bus was required to offload all their belongings, some who looked like they should have used a U-Haul, yet each piece had to be manually hoisted onto the x-ray machine. Don and I ended up at the end of the line, sweating it out as each passenger approached Mexico’s infamous red light/green light inspection system. Green means keep moving, while “red means dread”…prepare for full inspection. Of course, we got the red buzzer, but I guess being at the end of the line, the woman was too tired to probe too deeply. The whole thing was surreal, as we stood and watched the woman raise the first layer of underwear, knowing just a few inches down was enough prime beef to feed her entire family for a week. But we got the “onward nod,” and rushed back to our seats on the bus, realizing that we just had a big dose of luck dumped in our laps. 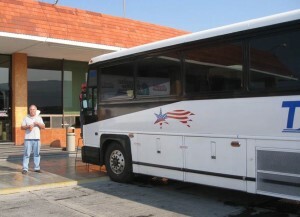 This entry was posted in Mexico, Travelogs and tagged Mexico, San Miguel de Allende by Suzanne. Bookmark the permalink. Wow, what a trip! SMA is on my bucket list. Will sure love to hear how your working from Mexico goes– some of my RVing friends are wanting me to spend the winter down there next year and I sure want to go if I can figure out the work thing! Hi, Lynne! Come on down! If all goes well, I will be here for a month. SMA is a photographers DREAM! You will love it! Glad you made it back from Tucson. Hope Millie is feeling fit!